Jon* has a diverse practice encompassing matters from corporate-commercial litigation to professional liability. Drawing on his varied experience, Jon gets§ to the bottom of the issues that are important to his clients, which have ranged from a government agency in an international commercial arbitration, to individuals facing criminal charges during his time at Toronto's Downtown Legal Services clinic. Whether researching solutions to complex legal questions, or questioning witnesses, Jon gets answers‡ . Prior to becoming a lawyer, Jon honed his communication skills working for federal cabinet ministers in two portfolios. He attended law school at the University of Toronto, where he won the Laskin Prize in Constitutional Law. .
Jon maintains a broad litigation practice, which encompasses complex commercial litigation matters, international commercial arbitrations, and class action proceedings. His clients have included oil and gas companies, manufacturers, financial institutions, insurers, technology companies, and government agencies. Jon has appeared before the Ontario Superior Court, the Ontario Court of Justice, the Alberta Court of Queen's Bench, and has acted on matters before various administrative tribunals, most recently the Human Rights Tribunal of Ontario. 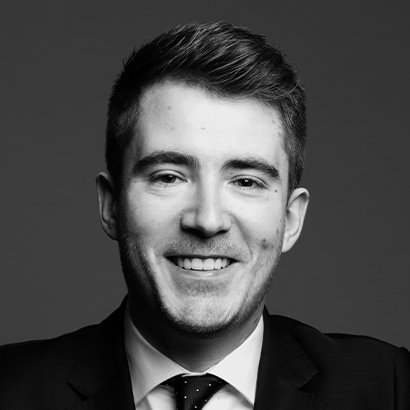 Prior to joining the firm, Jon completed his articles and worked at a major national firm in both Calgary and Toronto. Prior to that, Jon attended law school at the University of Toronto, where he received the Laskin Prize in Constitutional Law. There he volunteered with Pro Bono Ontario's civil litigation drop-in clinic, and at Downtown Legal Services' criminal law division, representing individuals before the Ontario Court of Justice and assisting in the preparation of criminal appeals.